Join affordable housing developers, lenders, policymakers, industry experts, homeowners, community organizers and more at the 2018 I’M HOME Conference. Register early and lock in big savings! Everyone will need a "Registration Code" to register for the conference. Enter this code into the "Registration Code" box on the FIRST PAGE of the registration process (you'll click the "Register Now" button below to get there). The payment page will not have a registration or discount code option. If for any reason the amount due is different than you believe it should be, please contact us via the information provided in the “Registration Inquires” section below. Staff from nonprofit or government organizations or academic institutions receive a discount on their registration. 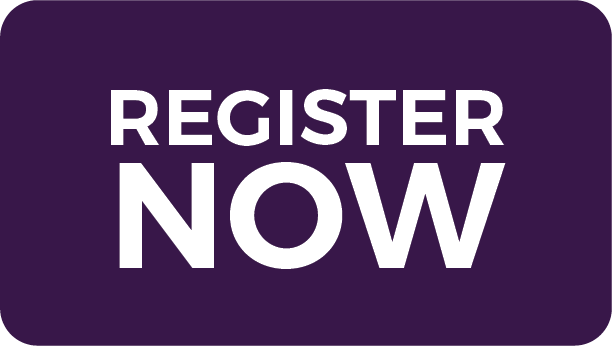 Please insert the Registration Code HOME2018 (case sensitive) when you begin the registration process. When you get to the payment page, the rate listed in the fee chart above will automatically be listed. Staff from a Tennessee or Kentucky based organization will receive a $50 discount off of the nonprofit or government organizations or academic institutions registration rate. Please insert the Registration Code NASHVILLE (case sensitive) when you begin the registration process. When you get to the payment page, the rate listed in the fee chart above minus the $50 local discount will automatically be listed. The I'M HOME Conference welcomes staff from corporate, for-profit organizations. Please insert the Registration Code IMHOME18 (case sensitive) when you begin the registration process. When you get to the payment page, the rate listed in the fee chart above will automatically be listed. If you are registering as one of the following registration types, you will need to receive/use the discount code from/given by a Prosperity Now staff member. The registration code will assign the correct registration rate to the attendee. Please read the information provided below for further instructions. Unless otherwise specified in another agreement with Prosperity Now, one staff member from each National Partner Organization may register for the I'M HOME Conference for FREE using a registration code, if they register before the advance registration deadline of November 7. You will be contacted by a Prosperity Now staff member with the code to use during the registration process if you fall under this category. If you do not receive an email, please contact imhome@prosperitynow.org. As soon as an invited speaker/moderator has accepted their invitation from Prosperity Now, they will be sent instructions for how to register for the for the I'M HOME Conference for FREE using a registration code if they register before the advance registration deadline, November 7. If the individual qualifies, speakers must complete and submit the speaker stipend form to receive $750 to help offset long-distance travel and lodging. Attendance will be verified before a stipend is processed. Please visit the Speaker Service Center to access the form & for more information. Please note, if you are a speaker from a Lead Organization or National Partner Organization, your speaker code supersedes your organization code. If your organization is sponsoring the I’M HOME Conference, your Prosperity Now sponsorship manager will share the registration code to be used in the registration process with you for up to two staff members from the sponsoring organization at the comp rate. One staff member from each Lead Organization may register for the I'M HOME Conference for FREE using a registration code if they register before the advance registration deadline, November 7. Up to two qualifying staff members from each Lead Organization will be eligible to receive a stipend of $500 to offset costs for long-distance travel and lodging. Additional registrations and any registrations submitted after the advance registration deadline will cost $150 per registrant. You will be contacted by a Prosperity Now staff member with the code to use during the registration process if you fall under this category. If you do not receive an email, please contact imhome@prosperitynow.org. To receive your stipend, please review the Lead Organization Travel Stipend Policy and Form and complete the stipend request form. As soon as a scholarship recipient has accepted their invitation from Prosperity Now, they will be sent instructions for how to register for the I'M HOME Conference for FREE using a registration code if they register before the advance registration deadline, November 7. Please review and complete the Scholarship Recipient Travel Stipend Policy and Form to receive reimbursements. Lead Organizations One complimentary registration with code. Additional registrations at the discounted price of $150 each with code. Prosperity Now will provide a stipend of $500 for up to two staff from each lead organization (see qualifying criteria in link above) to offset the cost of travel and hotel. Scholarship Recipients Complimentary conference registration with code. Prosperity Now will cover the hotel accommodation costs and booking of non-local Scholarship Recipients for up to 3 nights at the Doubletree Downtown Nashville, and a $500 stipend to offset the cost of travel. Complimentary conference registration with code. The preferred method of payment is online with a credit or debit card. Payment must be received with your registration; NO registration will be processed without payment. All major credit cards are accepted (VISA, MasterCard, Discover and American Express). Registrations received on or before 11:59 pm PDT on September 26, 2018 will be charged the early bird registration fee. Registrations received on September 20, 2018 but before November 7, 2018 will be charged the advance registration fee. Those wishing to register on November 8, 2018 or after will be charged the onsite registration rate. Payments will be accepted by check or money order, payable to “Prosperity Now” in U.S. dollars and drawn from a U.S. bank. Check and registration form (see below for form and mailing address) must be mailed in together, post marked by September 26, 2018 to receive the early bird registration rate. After September 26, 2018, check and registration forms mailed in together, postmarked by October 24, 2018, will receive the advance registration rate. NO FORMS OR CHECKS will be accepted after November 7, 2018. Paper forms will only be accepted via check payment. There will be a $75 fee for all returned checks. Checks will not be accepted onsite. Upon receipt of your registration and payment, a confirmation email will be sent to the email addressd that each registrant has entered during the registration process. Payment issues will delay the processing of your registration. If paying by check, registration will not be processed until the check and registration form is received and the check is cleared, which could take up to 14 business days. Please check your clutter, spam and junk email folders if you do not receive confirmation. Reasonable policies and terms of registration have been established for I’M HOME 2018. We encourage you to read these carefully as all registrants of the I’M HOME Conference will be required to agree to these Registration Policies and Terms as a condition of registration. There is a $50 non-refundable administration fee for processing any refunds. Your registration fee, less the $50 administrative fee, will be refunded in the same form as the payment was made within two (2) business days of your cancellation date. Cancellations and/or modifications must be made online before November 7, 2018. All registration fees are non-refundable after this date. All cancellations and modifications to registration will only be available online. Any exceptions shall be at the sole discretion of Prosperity Now. Prosperity Now regrets that there will be no refunds given due to no-shows or inclement weather. Registrations are transferable within your organization. You may transfer your registration to another individual in your organization at no charge on or before November 7, 2018. After November 7, 2018, substitutions will only be accepted onsite and will incur a $100 administrative fee. The individual submitting the substitution request is responsible for all financial obligations (any balance due) associated with that substitution. Substitutions must be sent in writing.